Love your driveway, patio, or pool deck! Cutting edge environmentally friendly products. We use recycled rubber in our paving. We've completed thousands of successful projects and have always maintained an ''A+'' rating with the Better Business Bureau. Discover why our clients are raving! Our Eco Rubber is up to 30-40% less than concrete removal and replacement. Eco Friendly recycled rubber paving which can be applied over virtually any surface including asphalt, concrete, tile, pavers, and even a torch on membrane. Are you looking for reputable paving companies for your driveway, pool deck, walkway, porch, driveway repair or staircase? Our rubber driveway paving solutions can resurface your old driveway or walkway, allow for future ground movement, and integrate cutting edge environmentally friendly products for resurfacing cracked and old surfaces. Eco Paving offers impressive rubber paving and rubber flooring options for pool decks, resurfacing driveways, walkways, and staircases. Instantly revitalize the look of your property, or business with our 100% recycled rubber, slip resistant and impact absorbing rubber paving. 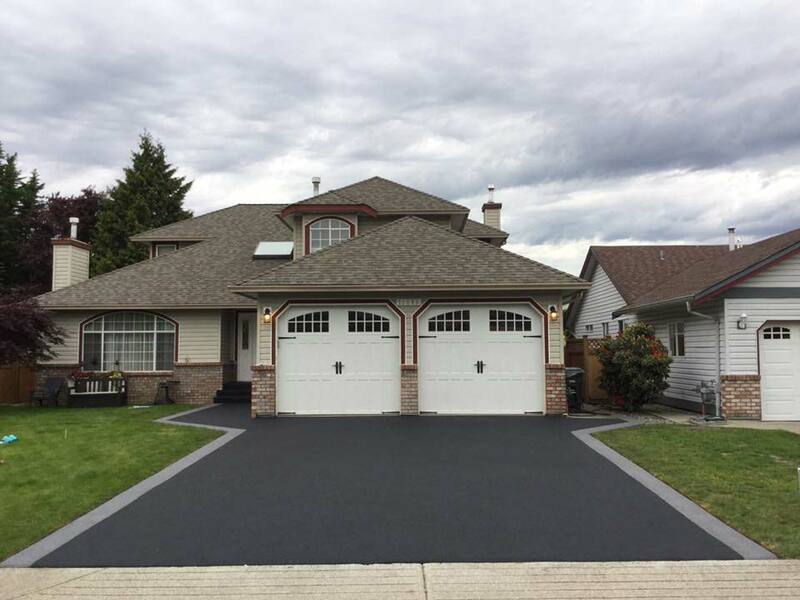 Not all paving companies are the same, environmentally friendly Eco Paving is a paving company that efficiently can pave over existing Vancouver driveways, patios, pool decks, and correct asphalt, concrete, pavers patio damage. Our rubber paving company offers the ability to you to eliminate costly and time-consuming removal of existing materials by simply resurfacing the area with a flexible and durable rubber coating. Eco Paving services the entire Lower Mainland including; Vancouver, Burnaby, Coquitlam, Surrey, Langley, Abbotsford, White Rock, Maple Ridge, North, and West Vancouver. Whether you are looking to get our service on a residential, or commercial project, our contractors can professionally apply eco friendly rubbing paving over your new or existing imperfect sub-floors. Rubber paving can withstand both extremes of temperature and ground movements which greatly reduces future cracking. Rubber flooring and rubber driveway paving is slip-resistant when wet which makes rubber flooring a perfect safety choice when surfacing pool decks, porches, sidewalks and playgrounds. Our rubber paving is mixed on site and applied to a uniform thickness over your existing surface to create a beautiful, seamless finish. Furthermore, we are able to pave on angular surfaces such as staircases. Rubber paving is directly applied to any solid substrate material including asphalt, brick, concrete, epoxy stone, paving stones, tiles, and even torch on membrane. Surface blemishes are easily filled and eliminated resulting in a beautiful new surface. Is a rubber driveway or rubber flooring easy to clean? Cleaning and maintenance is minimal. Water and soap is all it takes to keep the perfect look while holding true to the eco friendly nature of this product. Unlike concrete paving, the rubber finish will not fracture or crack, so long term costs are eliminated. Our company provides a 5-year limited warranty against defective materials which is typically five times greater than the industry standard. Are paving companies all the same? The answer is simple no! Most paving companies offer concrete or asphalt products. Eco Paving is a front runner of cutting edge technology that uses 100% recycled tire rubber to resurface driveways, lay rubber flooring for playgrounds, walkways, roadway medians, sideways, patios, pool decks, and stairs. View the variety of rubber flooring sample colours and decide which colours will best match your paving project. See our paving companies portfolio of past projects of rubber driveway paving, playground flooring, and rubber flooring ideas. Resurfacing – With our rubber paving, we can easily resurface asphalt or concrete because our product is flexible, which saves money! Appearance – Our paving greatly improves the appearance of your home and continues to look amazing years after installation because the product is crack-resistant! At Eco Paving we stand behind our product, and offer a 5 year protection warranty. Our unique surface has the ability to expand, and contract to accommodate for ground movements, and the freeze/thaw cycles. This unique ability minimizes cracking which is commonly found in concrete, and asphalt applications. At Eco Paving we only do quality projects, and provide excellent service. We have completed thousands of projects throughout Western Canada and have always maintained an “A+” rating with the Better Business Bureau. Our clients complete satisfaction is of upmost important to us, and your certainty of success with your project is guaranteed. We look forward to working with you! 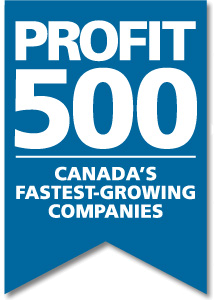 PROFIT 500 ranked Eco Paving as the 3rd fastest growing construction company, and 66th fastest growing company in Canada! Our commitment to quality, and providing outstanding service has facilitated the explosive growth. We are passionate about growing, improving our processes, and paving! We are always looking to expand while maintaining the charm, and passion of a quality operated family business. Thousands of happy customers. Heres a few. I am very happy with the driveway installed by Eco Paving. Everyone was very helpful from start to finish; the project was finished earlier than expected and the end result looks amazing! Thanks to everyone on the team - especially Sep! I will definitely be recommending you to others! I found them in an advertisement and phoned them to come over. They came and gave an appraisal for the job. We are really happy with the work they did. We found this company on Google. We emailed them and replied with a link to some of the work that they had done previously. We checked out that work and had them come by with some samples. They emailed a quote and we had the work done. We are very happy with the job and have already told others about them. All members of this company really know customer service, are genuine and do a great job. They really listened to what we wanted and their price was great! So happy with how it looks! Thank you, your message is sent!